Backpacking with Boo: No Content Here! 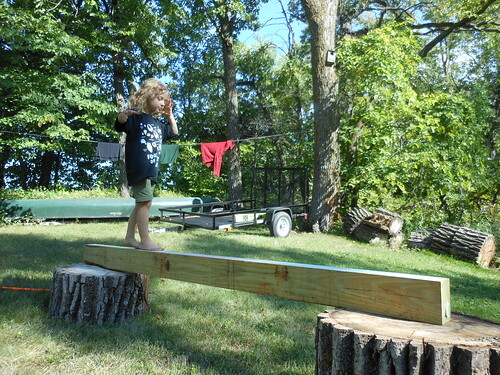 Northwoods Balance Beam, a photo by virithos on Flickr. We were in MN all last week. Lee and I did an overnight, and tried 2 new dinner recipes. Boo only wore shoes the two times we ate out. We had a great time, but didn't get a post together. So here's a cute pic of the kid as a promissory.